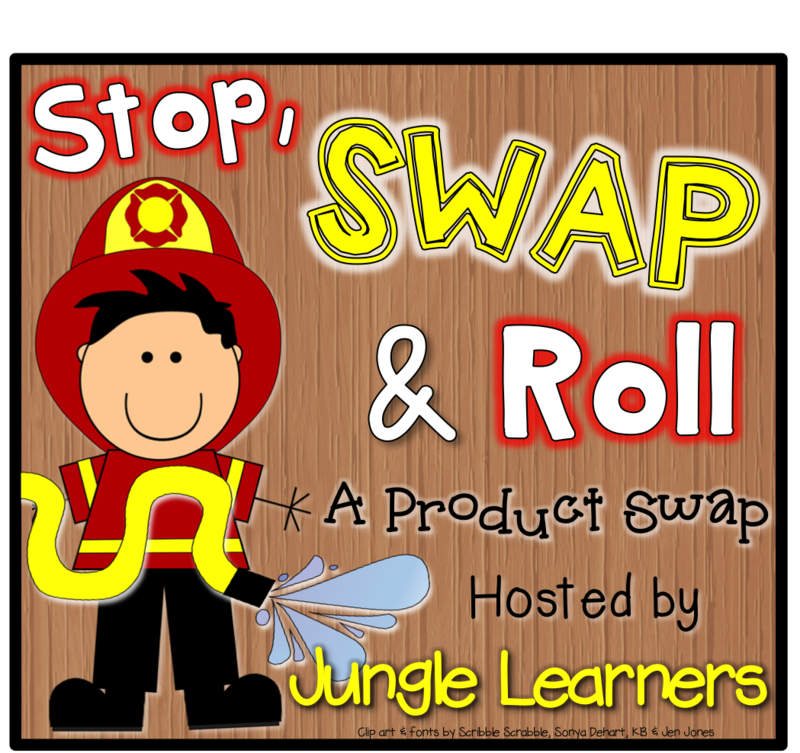 So I was super excited when Melissa over at Jungle Learners invited me to join her Stop, Swap, & Roll Product Swap! Such a fun idea! 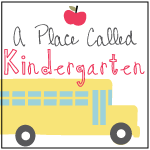 I was lucky to be paired up with Jonelle over at A Place Called Kindergarten! She has an adorable blog and I love that she shares so many pictures of her classroom. It looks like a fun place for learning! She sent me her Picture Perfect Math activities! I told her that I love teaching math and would like to use it with my students. 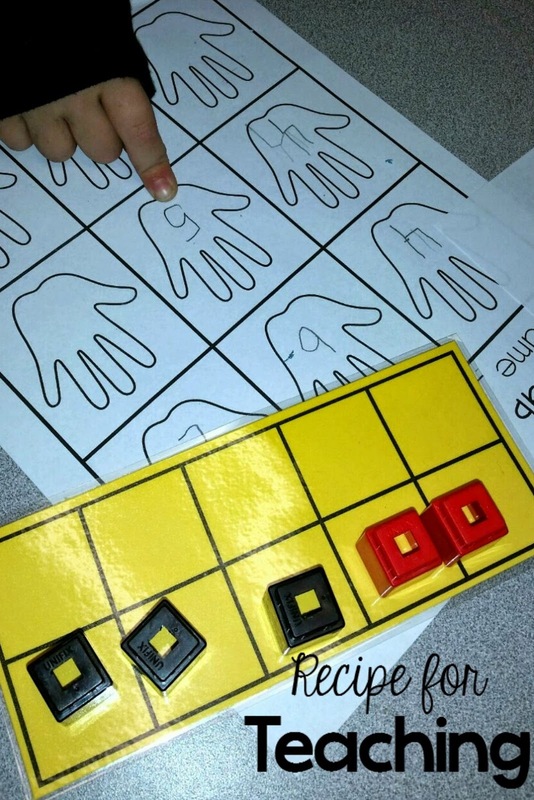 The pack is filled with 10 fabulous activities that use five and ten frames. I knew it would be "picture perfect" to use with some of my small groups for math. 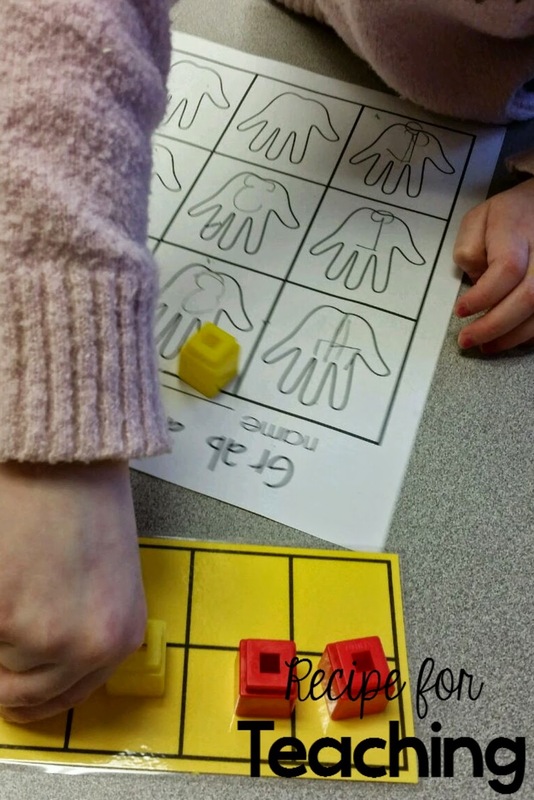 Here are a few pictures of my students using one of the activities from this pack called "Grab and Count." 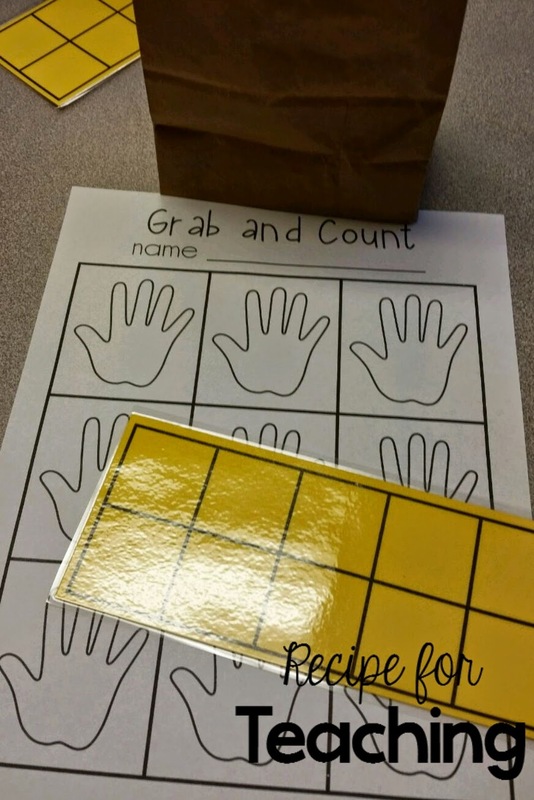 For this activity, students have 10 cubes in a bag, grab a handful of cubes, and count them out on a ten frame. Then they record the number in the hand on the recording sheet. My students really enjoyed this activity and it was great review for writing numbers! This would also make a great math station! 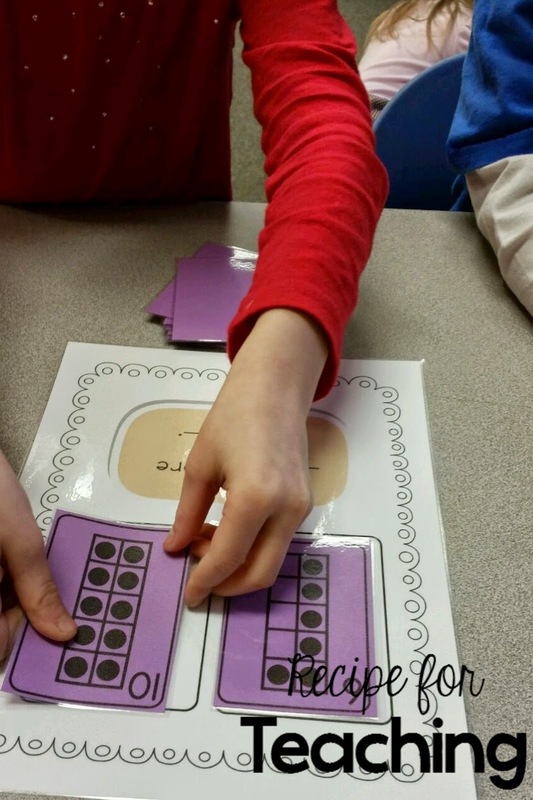 Another activity in Jonelle's Picture Perfect Math activities is "More Than Less Than Math Talk." I was excited to use this with my students because I have been reading Debbie Diller's Math Work Stations book this year and using math talk with my students. I was working with two students on this activity. I had each of them pick a card and then we determined which was more. I had laminated the math talk paper so I used a dry erase marker to write the number on the math talk. They LOVED reading the math talk once the numbers were filled in! This activity would also be perfect for a math station. 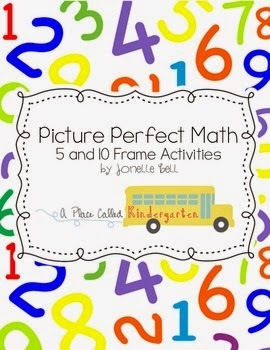 One lucky winner will win your very own copy of Jonelle's Picture Perfect Math activities AND a $10 TpT gift certificate just by entering the Rafflecopter below! I will email the winner Jonelle's "Picture Perfect Math" and the TpT gift certificate code once the winner is announced! Don't forget to check out her blog to see how she used my Teen Number Activities in her classroom! You might even be lucky enough to WIN a copy of it to use with your students! 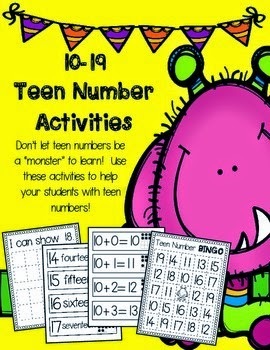 I've also put my "Teen Number Activities" on sale in my TpT store until February 2nd! Be sure to to visit Jungle Learners to check all of the bloggers who joined the swap! And enter to win some really great products while you are at it!